NVidia is to EOL Mental Ray. 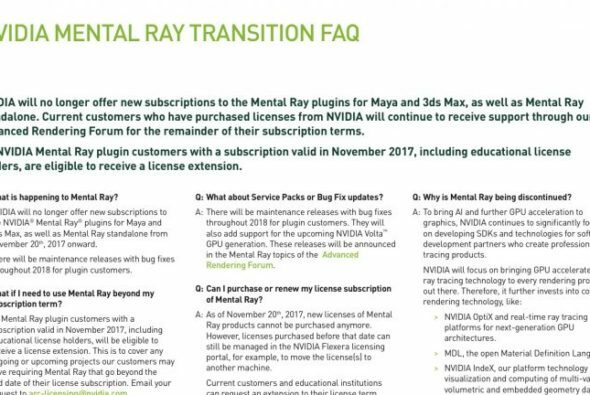 In a newsletter announcing the decision they say that from November 20th 2017 “NVIDIA will no longer offer new subscriptions to the Mental Ray plugins for Maya and 3ds Max, as well as Mental Ray standalone. Current customers who have purchased licenses from NVIDIA will continue to receive support through our Advanced Rendering Forum for the remainder of their subscription terms.” You can read the announcement in full on NVidia’s website.